Microsoft has introduced a shiny new Resilient File System, or ReFS, in Windows 8 Server Beta. Being the successor of NTFS, ReFS has a new storage engine that promises to protect against storage failures, resist data corruptions, support ultra-large file and volume size, and grant much higher performance. It looks like Microsoft intends to make ReFS the primary file system for storing data, so it’s no surprise that everybody displays a keen interest in trying this innovative file system. Paragon Image Backup for Windows 8 is a disk-imaging tool for Windows 8 and Server 2012. It employs Microsoft VSS and Paragon’s patent-pending technologies for consistent point-in-time copies of the whole disk system or separate volumes. For recovery purposes it includes a powerful Linux/DOS environment. But its power is its support of the innovative ReFS. This makes Image Backup for Windows 8 the only stand-alone freeware backup and recovery tool for Windows 8 and Server 2012 that supports Resilient File System! 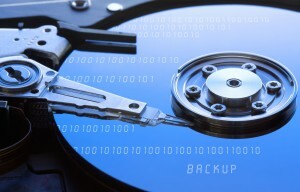 “Paragon Software Group is offering up a free copy of its Drive Backup Professional tool. The software usually retails for $50 and includes several easy to use features to backup an image of either your entire hard drive or a partition. Backups can be performed in multiple ways, each with a different purpose, from simple backup of files to more advanced scheduled backup operations. You’ll get a very reliable and powerful backup solution with a lot of tools and features for getting your stuff secured against a possible drive failure in the future. If anything goes wrong and you need to restore your data, you can do it from a single backup image at any time without requiring you to install further software. A bootable recovery CD or USB stick can also be created. From the website of Paragon: Take complete control of your PC’s safety. Based on solid commercial backup and recovery software from Paragon, the new Backup & Recovery 10.2 Free Edition will give you a rich set of features that you can trust. Free Download.